Based on these results, I’ve set my own server at gzip_comp_level 5;. I have plenty of CPU time to spare these days. It would be interesting if someone were to perform this analysis and pair it with the actual CPU impact and processing time for the various settings. 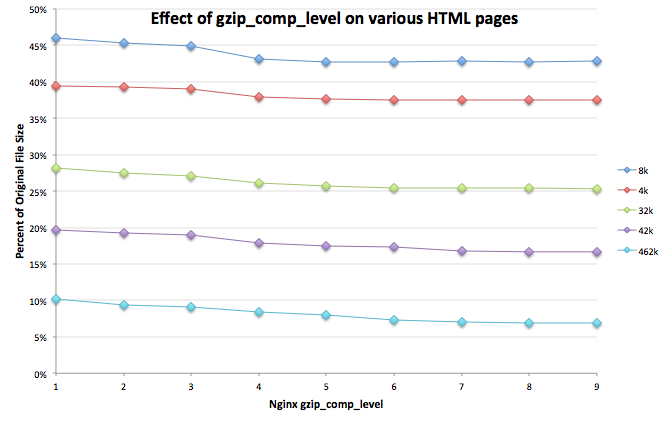 FWIW, using gzip on the command line produces file sizes slightly smaller than gzip_comp_level 6, in a few of my tests.